Last year, Google launched one of the first pure Google phone which were the Pixel and Pixel XL. And if you liked those two devices we have a good news for you, you'll also very much enjoy the 2017 edition of the Pixel or Pixel 2. As you can see from the newly leaked image below (blurry as it may be), the top and bottom bezels are still very noticeable and it has the previous model design. This year, Google's flagship clearly bucks the trend of near bezel-less screens. But, unlike last year, at least there's a speaker housed in the bottom bezel. This will work in tandem with the one above to create a stereo effect. And on the back side of the there's a single main camera unlike other phones, though it has to be said that some of the best pictures produced by mobile devices at the moment still come from single-camera smartphones, so don't be too upset about that. On the other hand, while you probably won't miss out on photo quality if you go with the Pixel 2, you will be left without gimmicks such as true black and white images or 'Portrait Mode'. Both the device will have sqeezable frame feature from HTC's U11, despite the fact that HTC will only be producing the former (the XL 2 is made by LG). And both phones will come without a 3.5mm headset jack, so you can't say Google won't be following any trends at all. 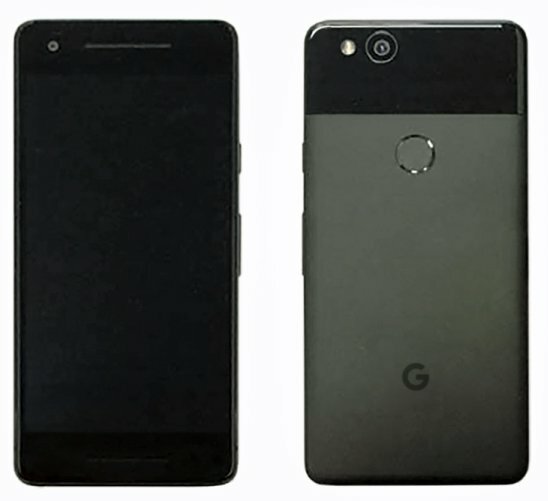 Google's 2017 flagships are expected to sport the Qualcomm Snapdragon 835 chipset, and should launch this fall. The Pixel XL 2 will have smaller bezels than its predecessor, unlike the Pixel 2.